Avian brood parasites and their hosts have served as important models of coevolution and have produced a spectacular diversity of behavioral, morphological and physiological adaptations and counter-adaptations, our knowledge of which has expanded as additional species in Asia and the southern hemisphere have received intensive study. Until recently, essentially nothing was known about the genetic basis of host-specific adaptation in parasitic birds, but intriguing results from three recent studies are consistent with a long-standing hypothesis of maternal inheritance via the avian W chromosome. The cuckoo finch Anomalospiza imberbis is arguably the most compelling of these examples. Cuckoo finches parasitize Cisticola and Prinia warblers, which have evolved highly variable egg “signatures” as an anti-parasite adaptation. In turn, cuckoo finches have evolved eggs that not only mimic different species but also approximate the range of variation within each host. Remarkably, mitochondrial DNA indicates not only deep divergence between cuckoo finch females parasitizing the two host genera, but also more recent diversification associated with egg phenotypes: blue versus red background color in females parasitizing Prinia subflava, and bright versus dull phenotypes in females parasitizing Cisticola erythrops. These divergent matrilines, however, belong to a single population based on a complete lack of differentiation in the rest of the genome. The avian W-chromosome and mtDNA, both maternally inherited, share a common phylogenetic history. Thus, the mtDNA results strongly suggest that differences in egg phenotype are coded on the W chromosome. 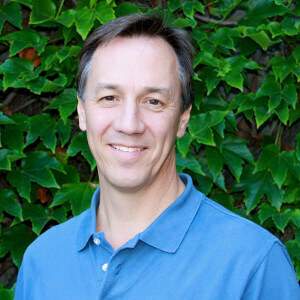 Dr. Michael Sorenson is Professor Biology and Associate Dean of the Natural Sciences Faculty in the College of Arts and Sciences at Boston University. He previously served as Chair of the BU Biology Department. He earned his PhD in Ecology, Evolution and Behavior from U. Minnesota in 1990, before conducting postdoctoral research at the Smithsonian Institution and U. Michigan.